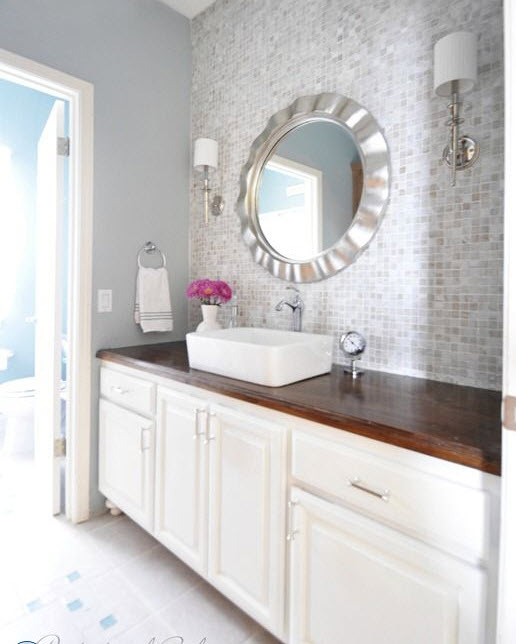 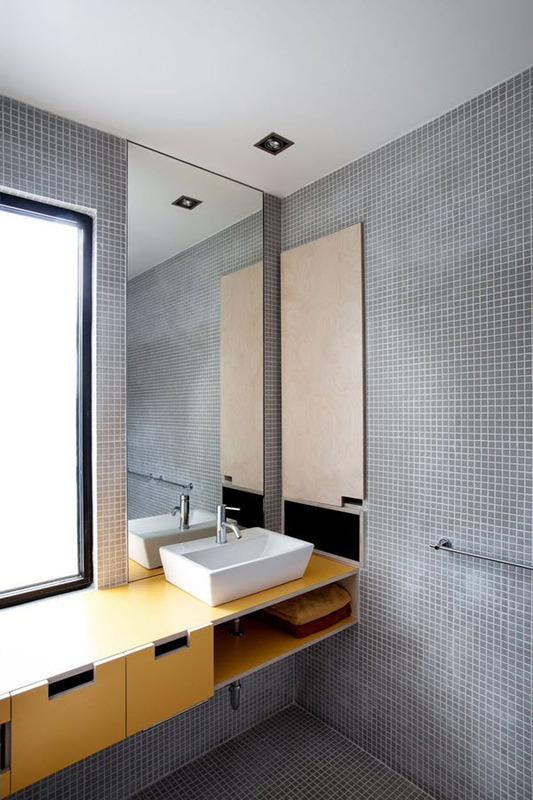 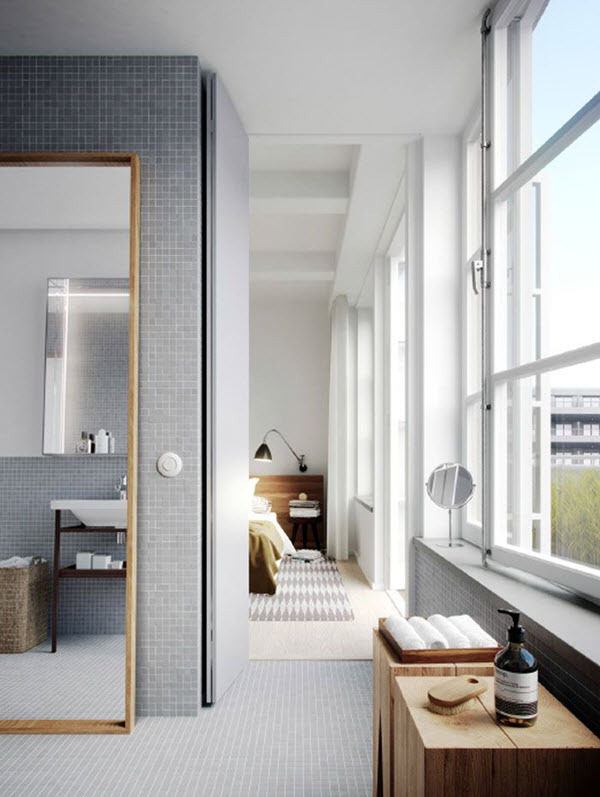 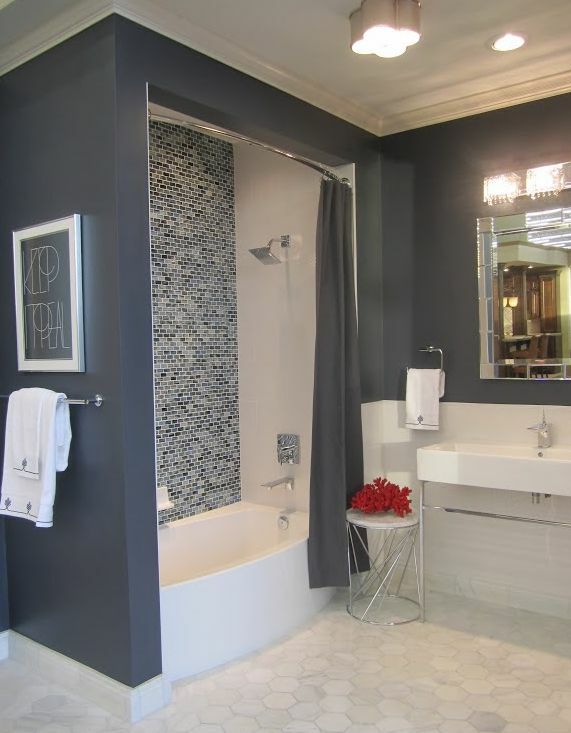 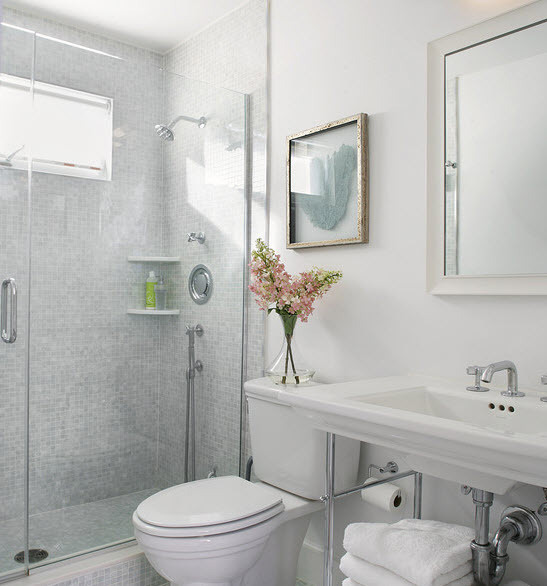 Grey is one of the most elegant colors for bathroom interior. 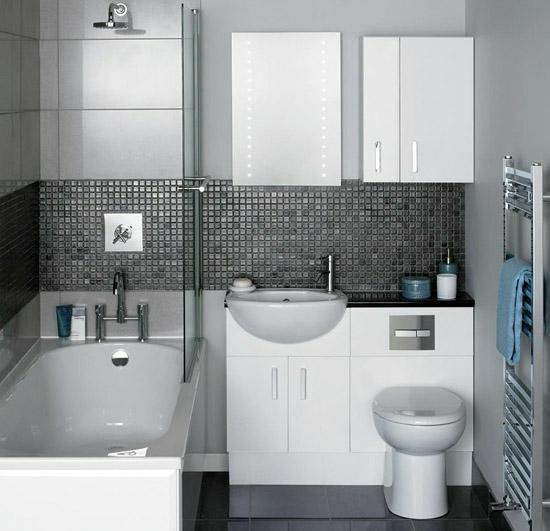 It suits almost any style and decor – from classic to contemporary and even hi-tech. 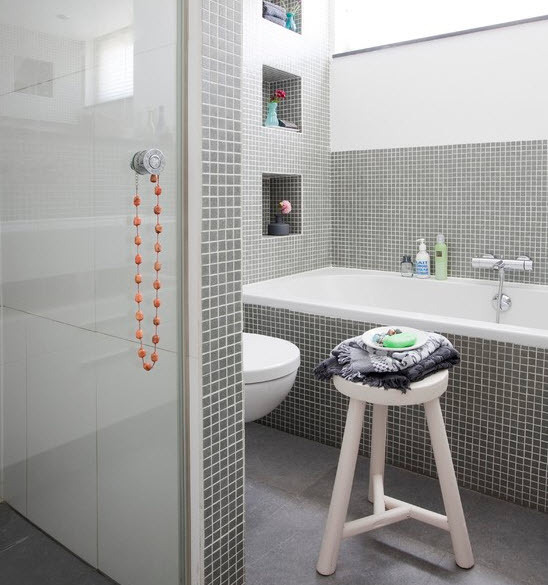 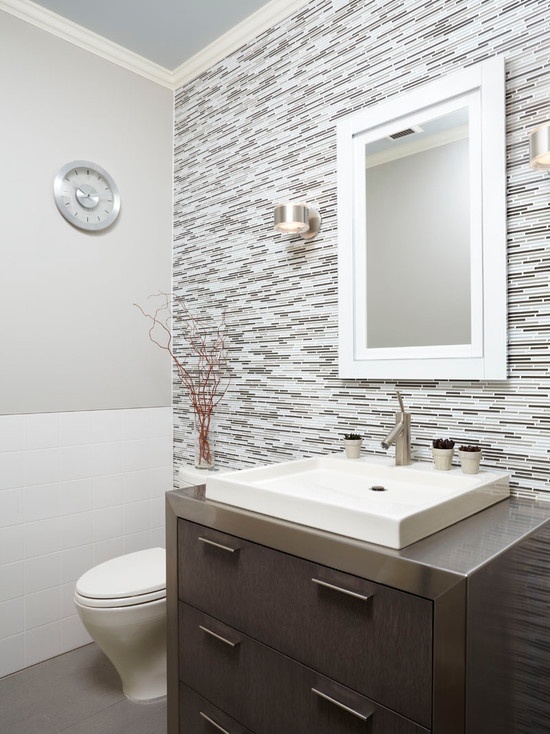 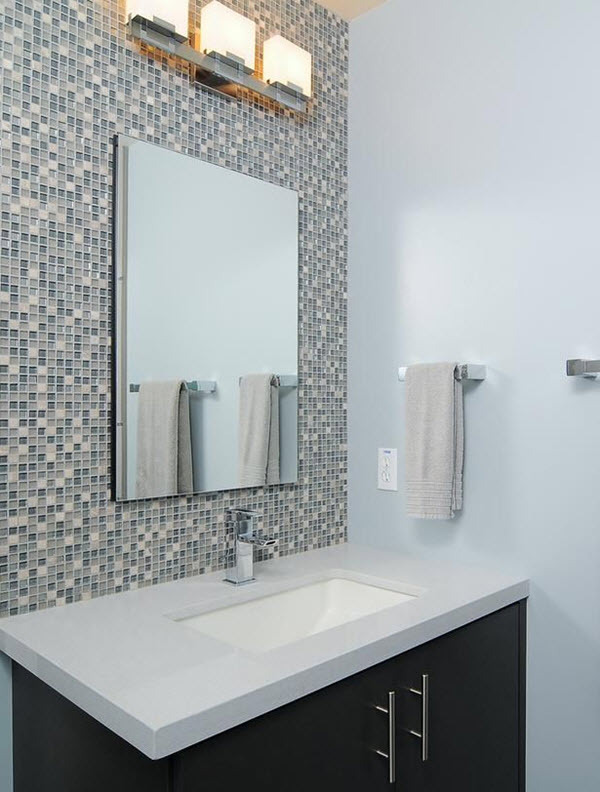 But if you want to keep the interior simple and exquisite and add a little bit of playfulness at the same time, then you need to look closer to grey mosaic bathroom wall tiles. 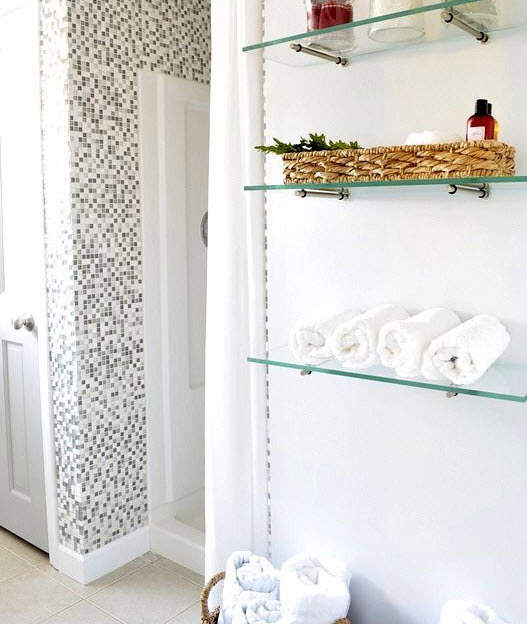 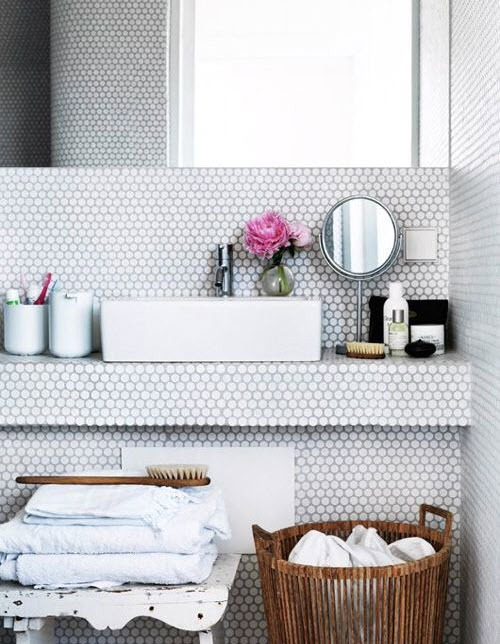 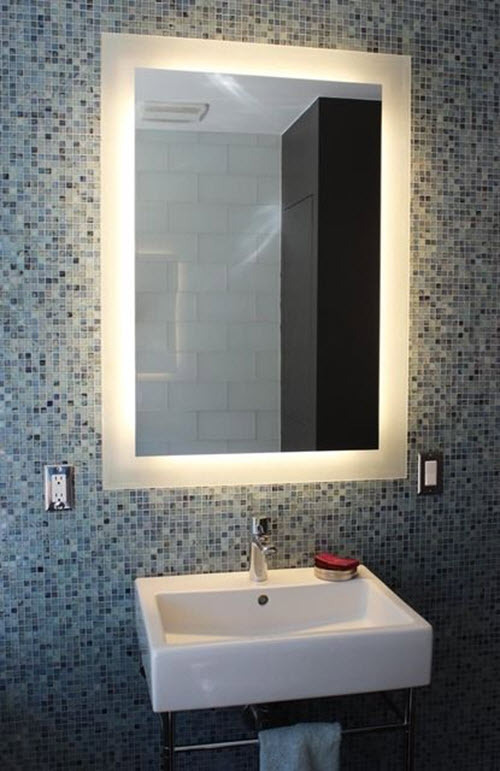 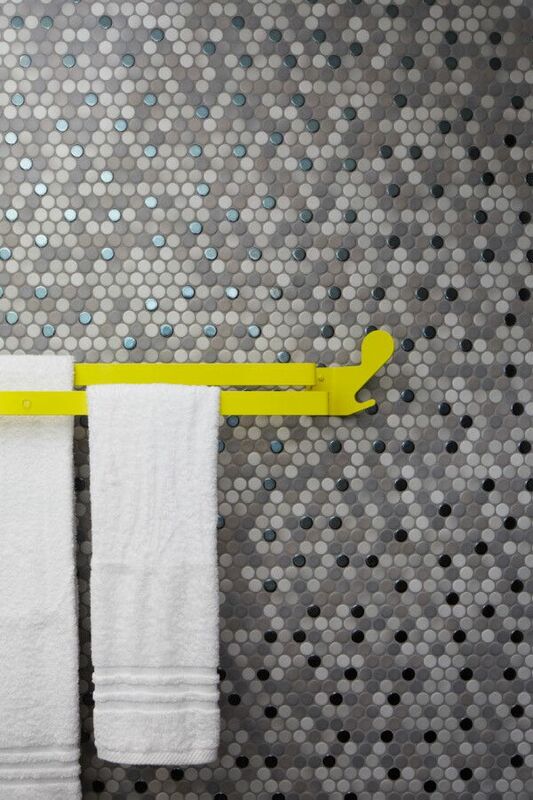 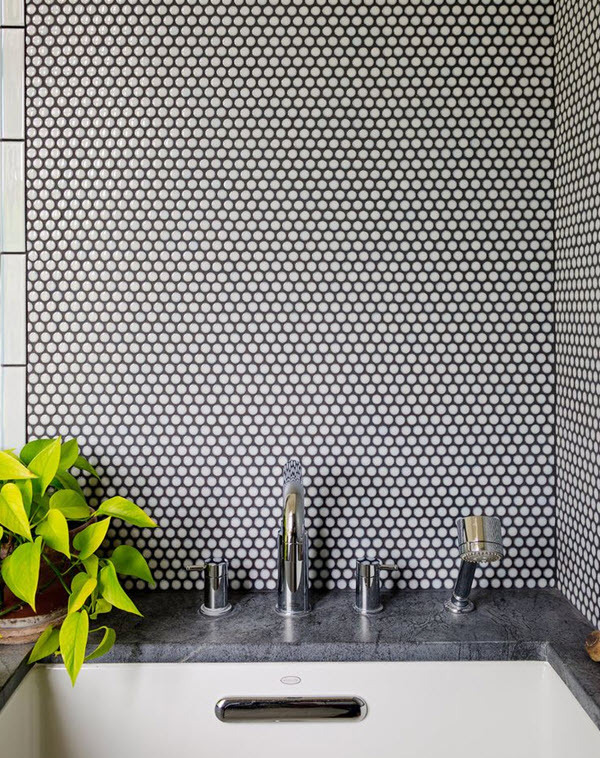 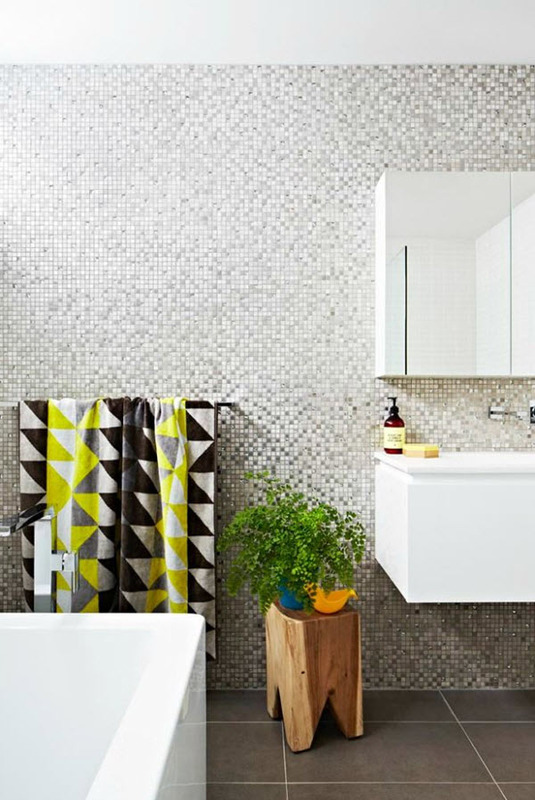 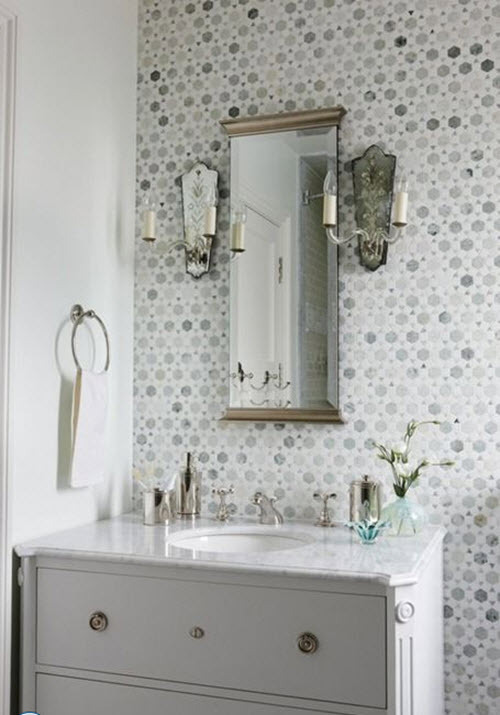 Designers usually use many shades in grey mosaic and it looks especially fresh and unique on the walls. 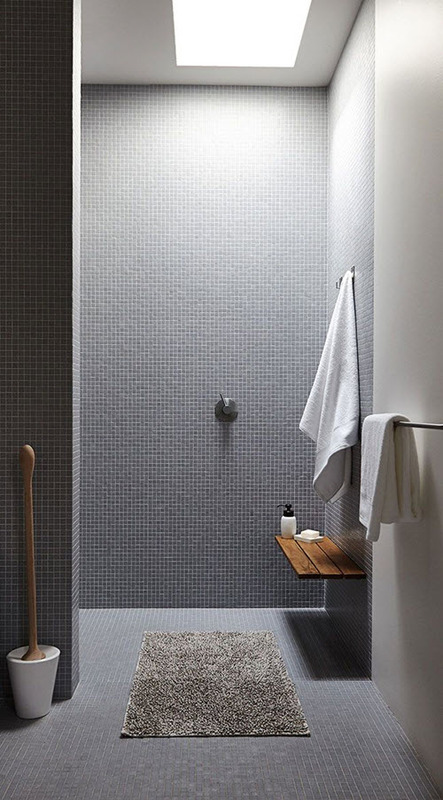 You don’t have to cover all walls in grey to prove your love for this color. 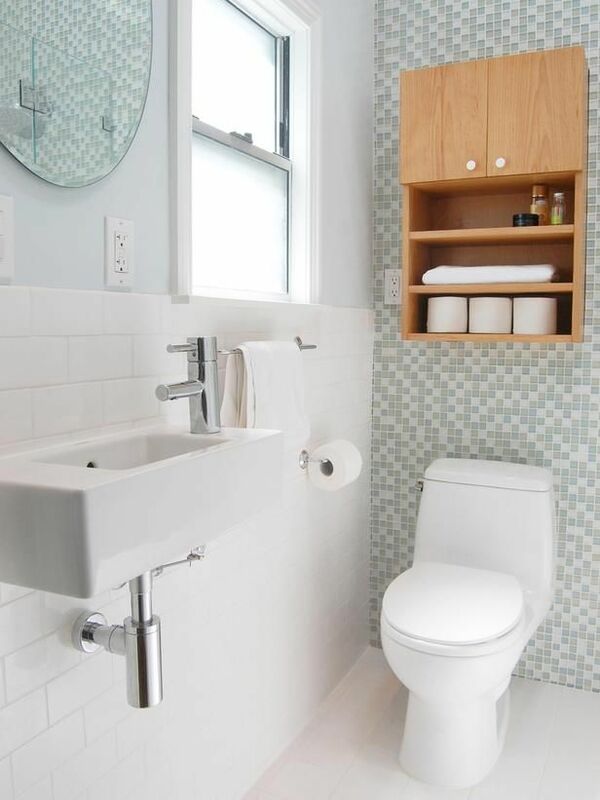 Sometimes, simplicity is the best solution. 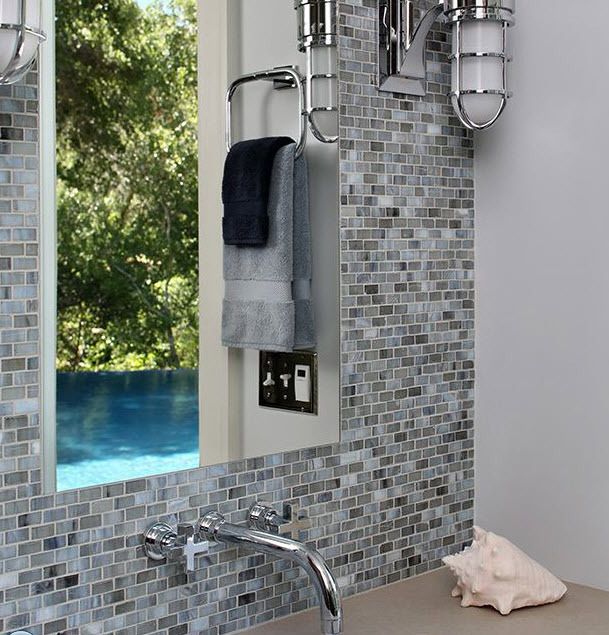 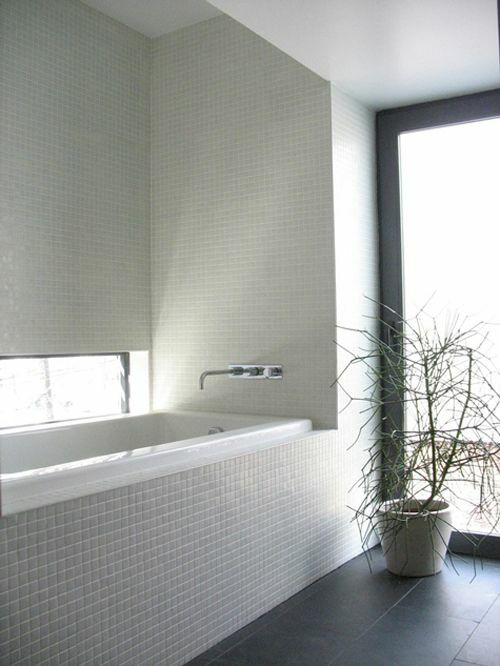 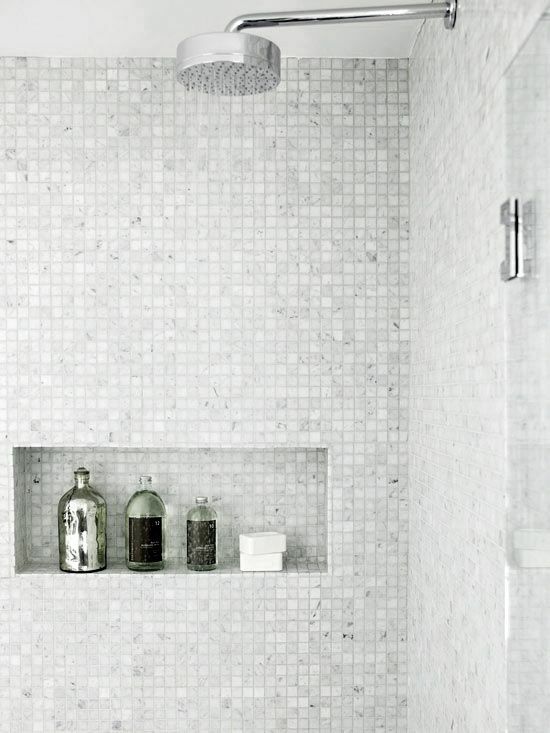 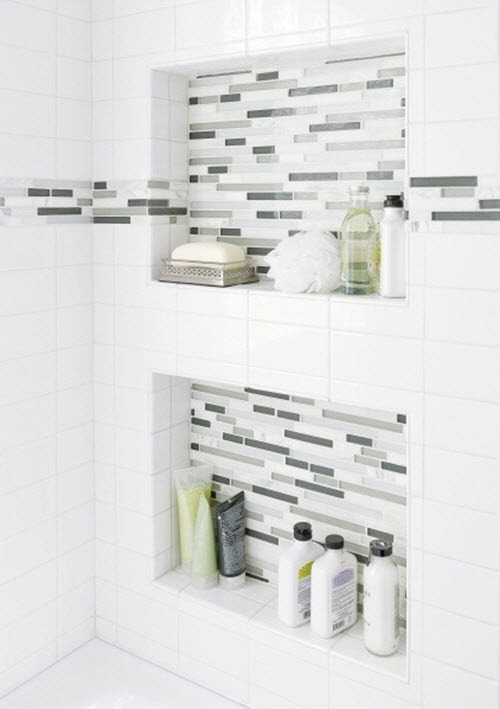 So, narrow stripe of grey mosaic would look awesome on the wall of white simple tile. 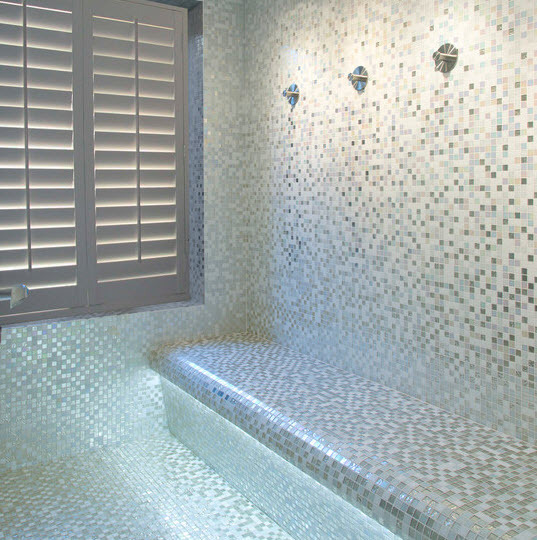 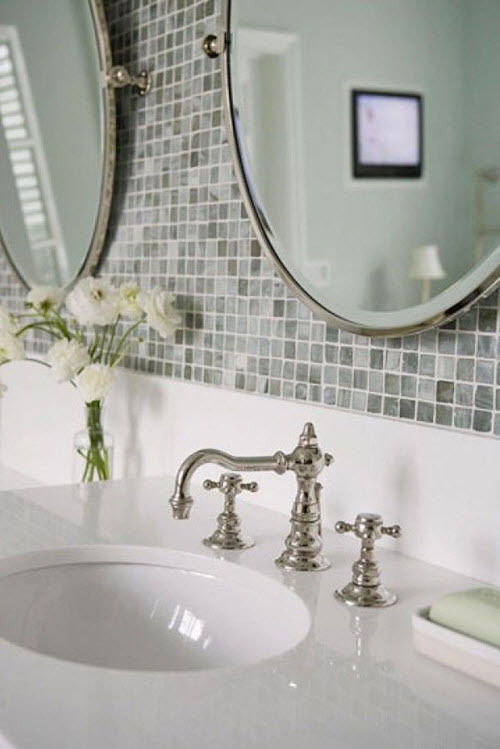 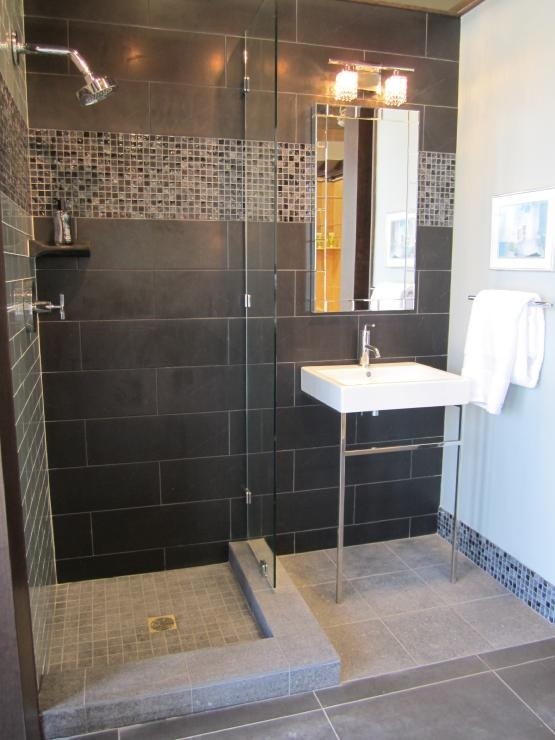 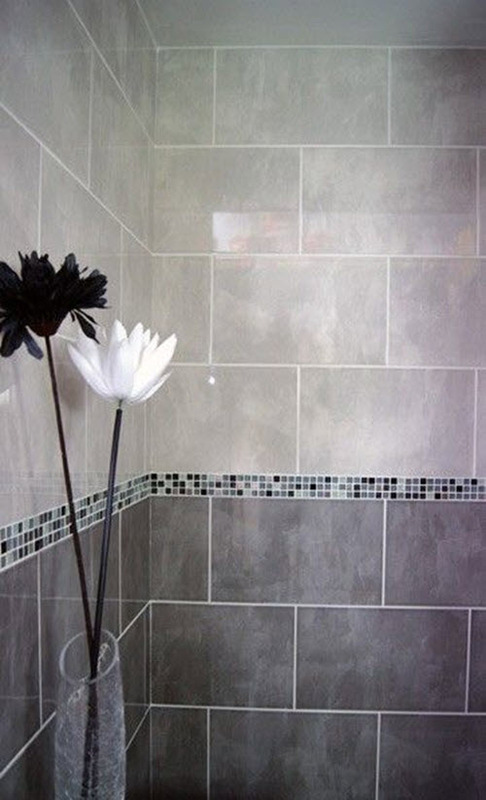 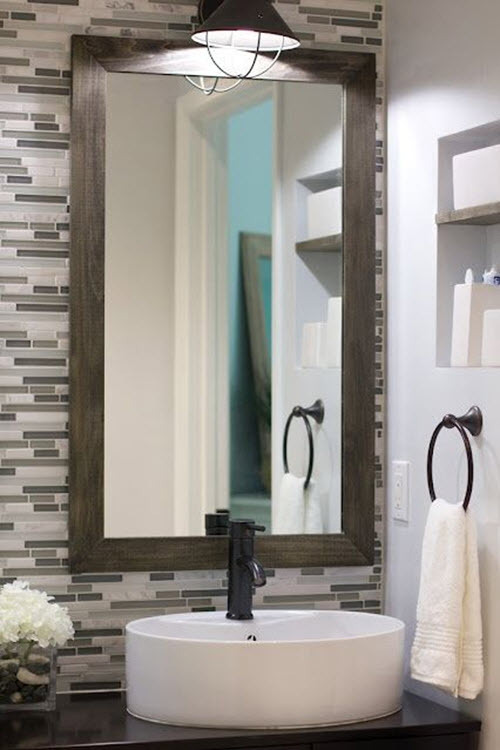 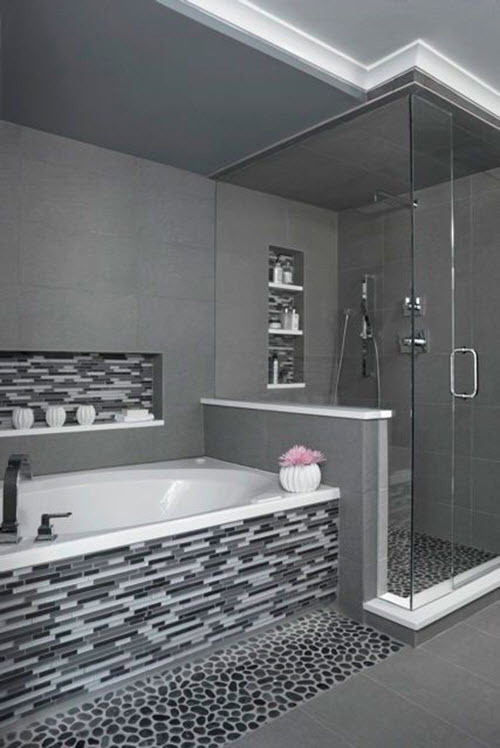 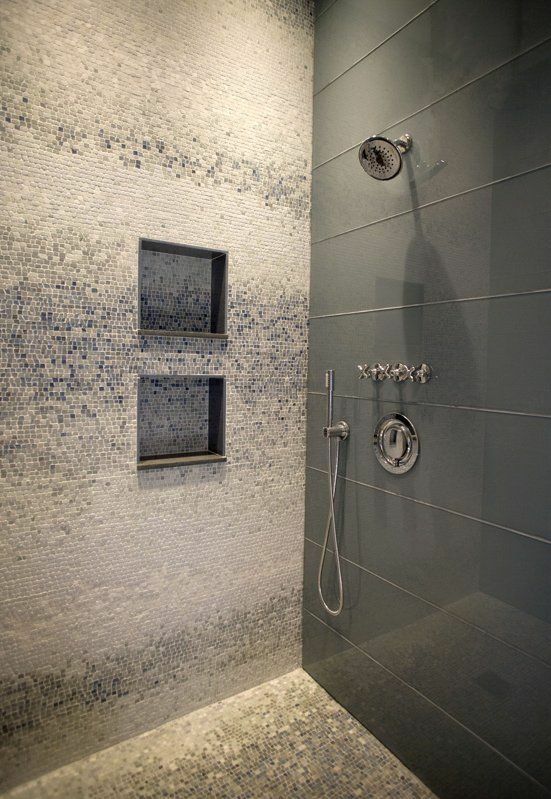 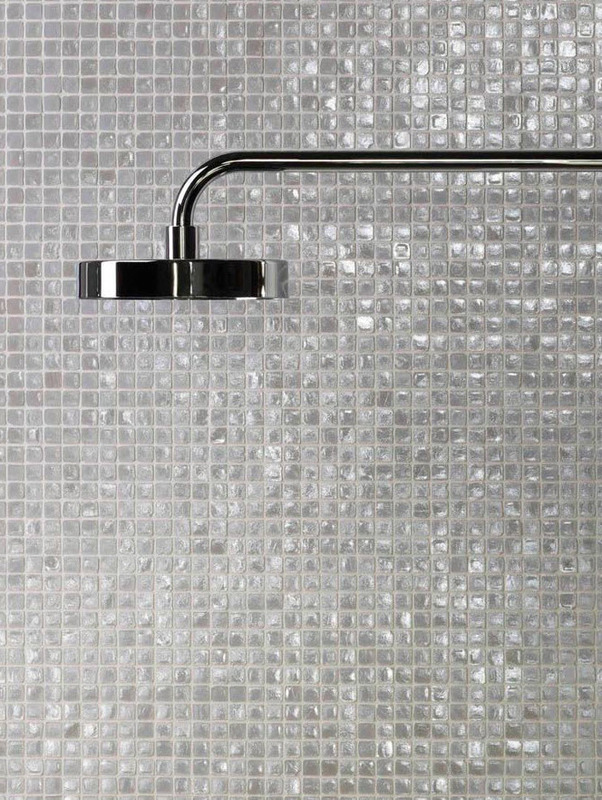 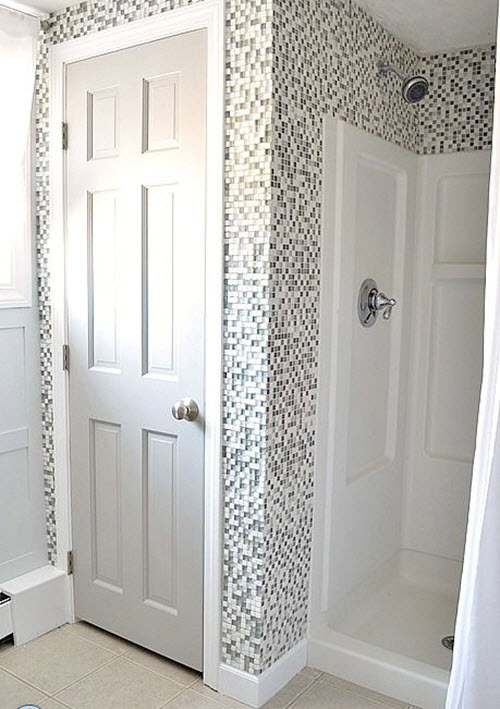 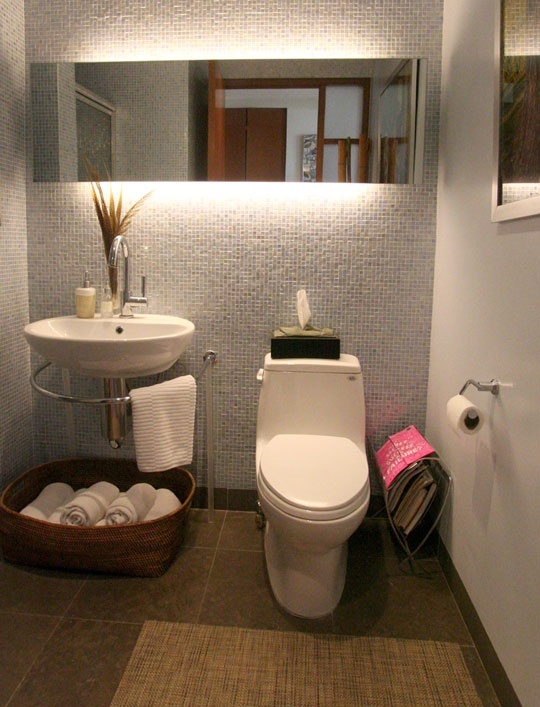 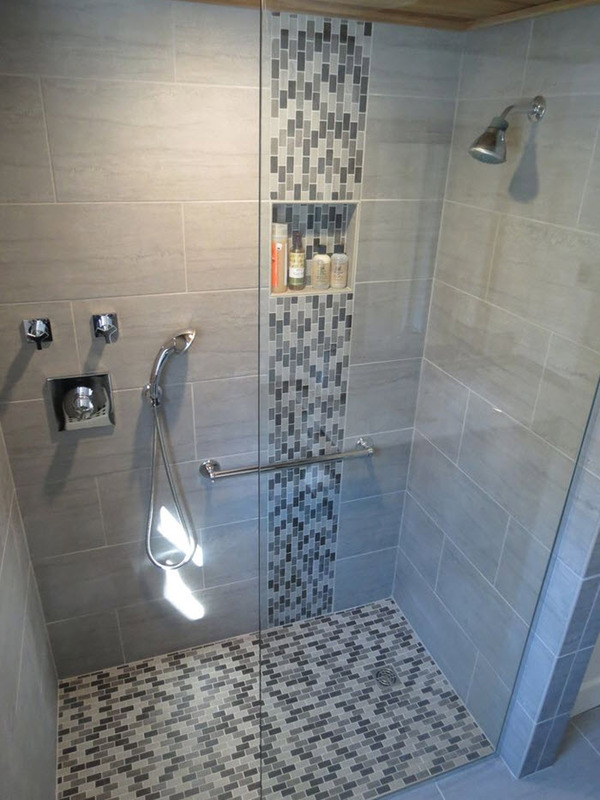 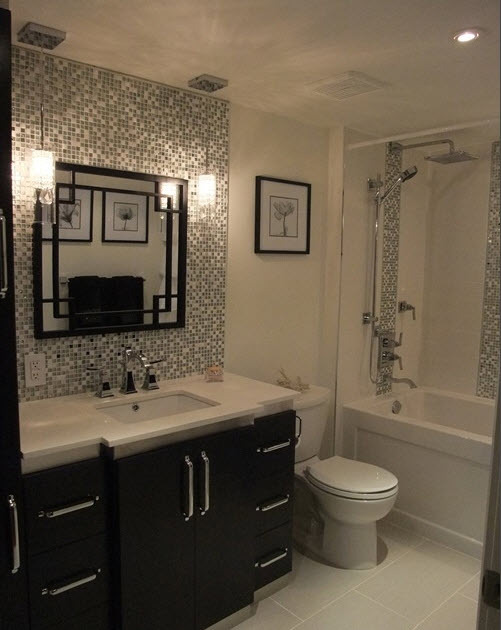 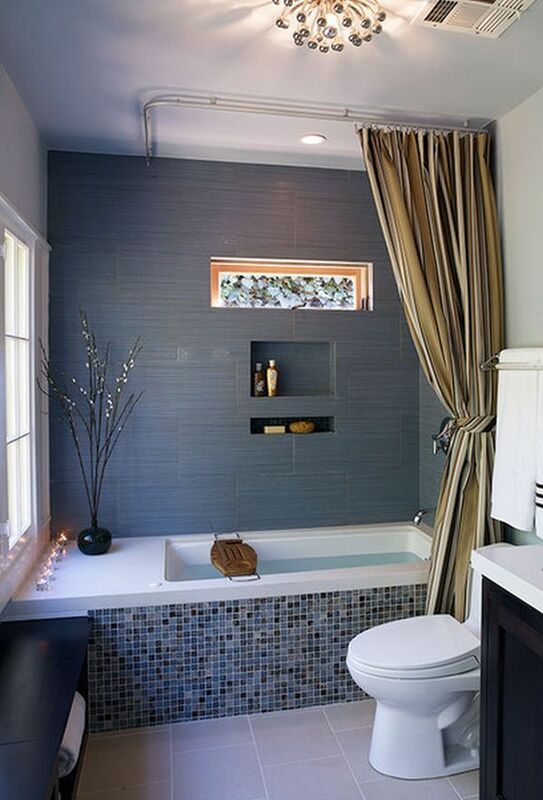 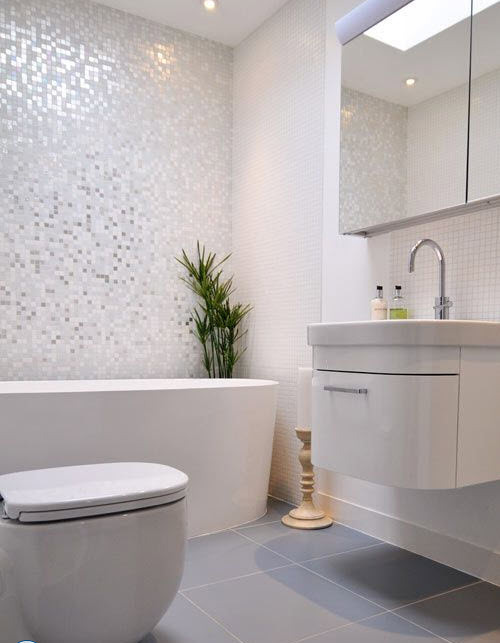 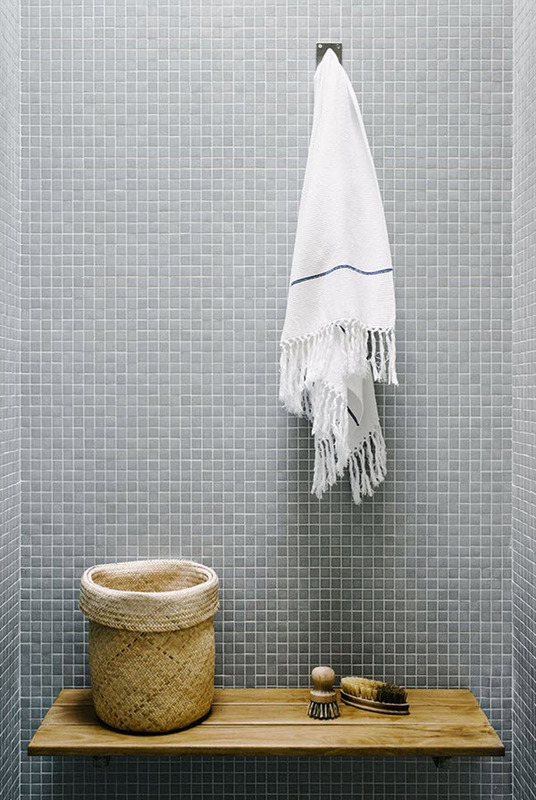 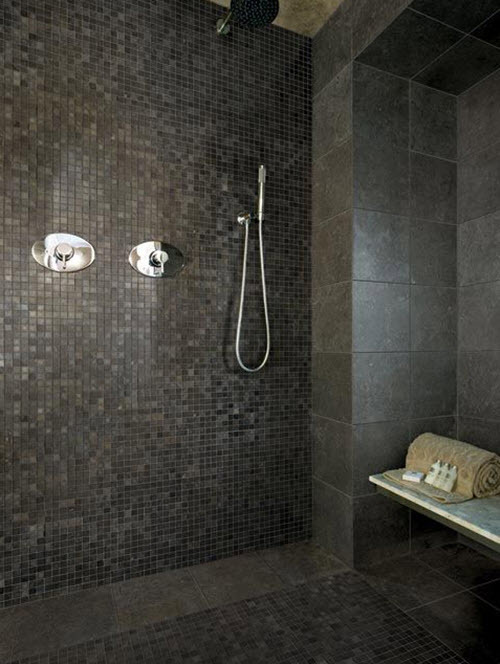 Grey mosaic border around bathtub or in the shower area would also add special touch to your bathroom. 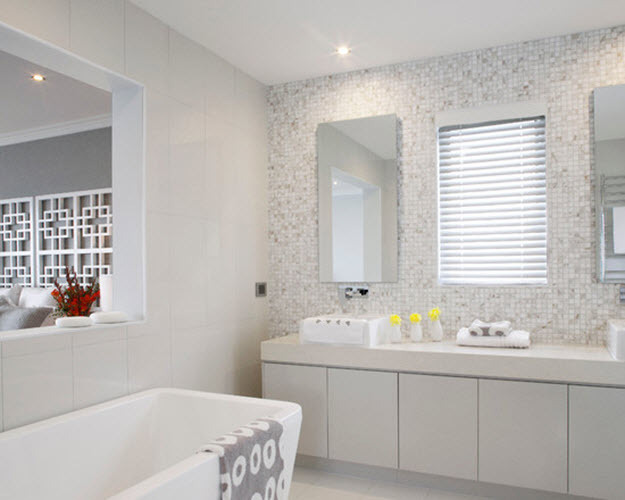 Anyway, a picture is worth thousand words so look at our photo ideas below and get inspired.